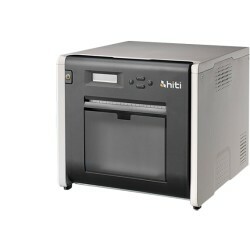 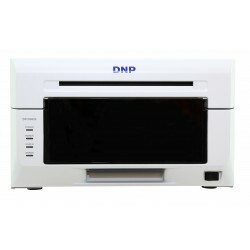 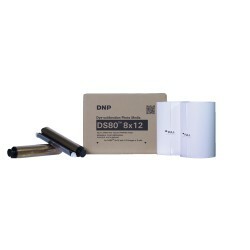 The compact 600 dpi DS80 Digital Photo Printer from DNP gives you the ability to print 8 x 12" photos. 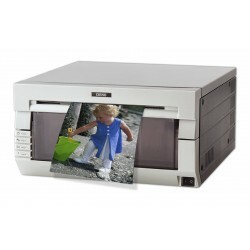 The printer combines high-speed printing with dye-sub technology to produce high-quality photos up to 8 x 12" in size. 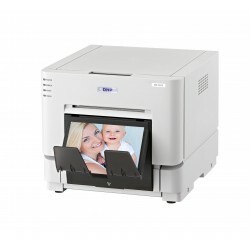 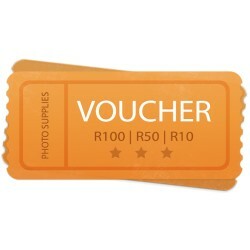 The printer can produce high-quality 8 x 12 photo in 35 seconds. 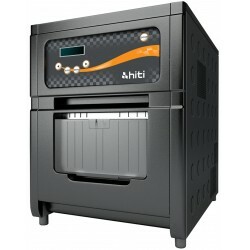 As your printing needs increase and one printer isn't enough, you can quadruple your print speed by connecting 4 DS80 models. 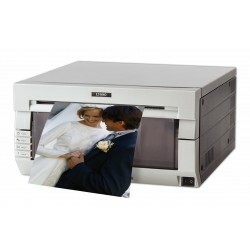 Once the printers are linked you can stack them to conserve space thanks to their flat-top design. 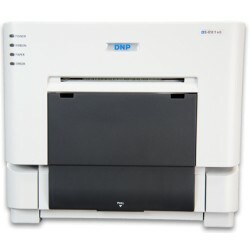 The DS80 uses a unique internal print method to protect the paper from dust and other contaminants and is easy to maintain thanks to its front-panel media loading and maintenance.